Alternatives, such as powers of attorney for handling money and property and advance directives for health care decisions are better ways to deal with these issues. However, if the disabled person has not made those plans and documents before becoming disabled, there may be no choice except a petition for appointment of a guardian. Even if you do not make an Advance Directive for Health Care decisions, Maryland law provides for medical decisions to be made by family members or close friends in some situations without appointment of a guardian. See the information about "surrogate" decision making. The Guardianship Handbook was updated in 2012. 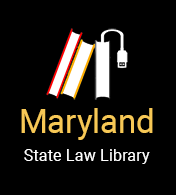 The Law & Health Care Program at the University of Maryland Francis King Carey School of Law (UM Carey Law) and the Delivery of Legal Services Section Council of the Maryland State Bar Association (MSBA) collaborated to update the handbook for the first time in over a decade. This edition was revised and updated by Virginia Rowthorn, JD, Managing Director of the Law & Health Care Program at UM Carey Law , and Ellen Callegary, JD, a prominent elder law and disability lawyer in Maryland.